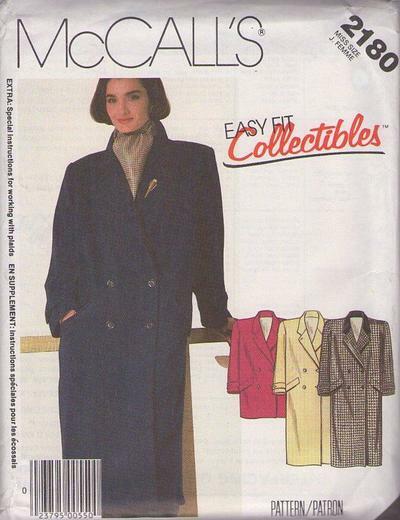 1985, 80s Outerwear, Retro Winter Clothing Patterns - MISSES' COAT OR CAR COAT: Oversized, lined, double-breasted coat or car coat has shoulder pads, notched collar, lapel button and buttonhole and pockets with flaps; long two-piece sleeves have sleeve heads and buttoned straps. 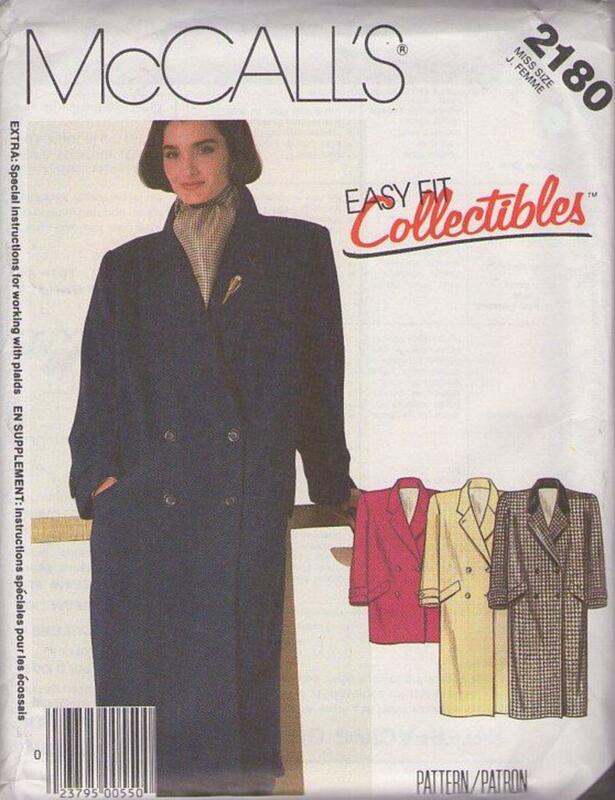 Contrast collar is optional. Coat has center back vent.